This stick was used by Brian Elliott of the Ottawa Senators in the 2009-10 season and has been photomatched to four games, between January 28 and February 4, 2010. On January 30th, in a 3-2 overtime victory over Montreal, the Senators set a new franchise record for most wins in a row with 9. 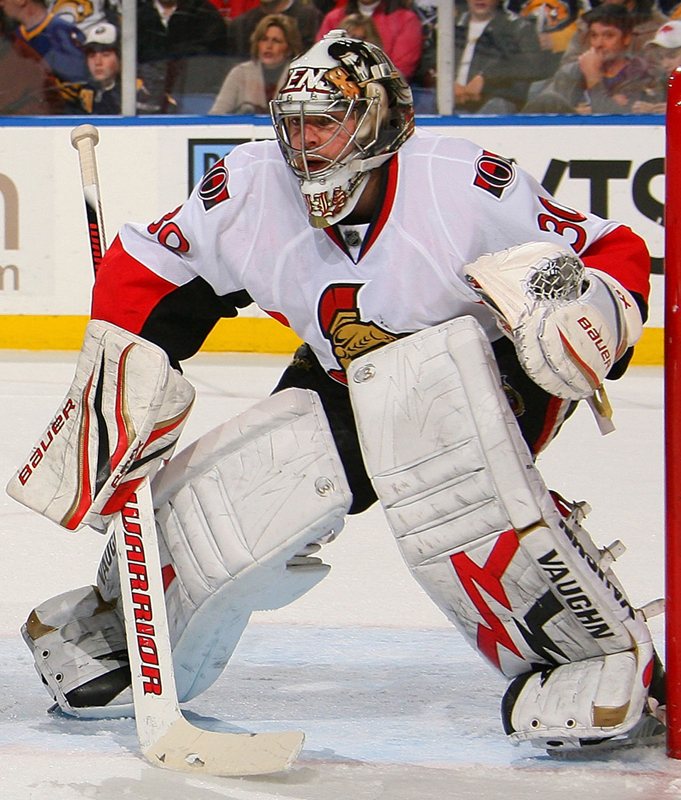 Elliott and the Senators stretched the record to 10 consecutive wins on February 3 with a 4-2 win over Buffalo. 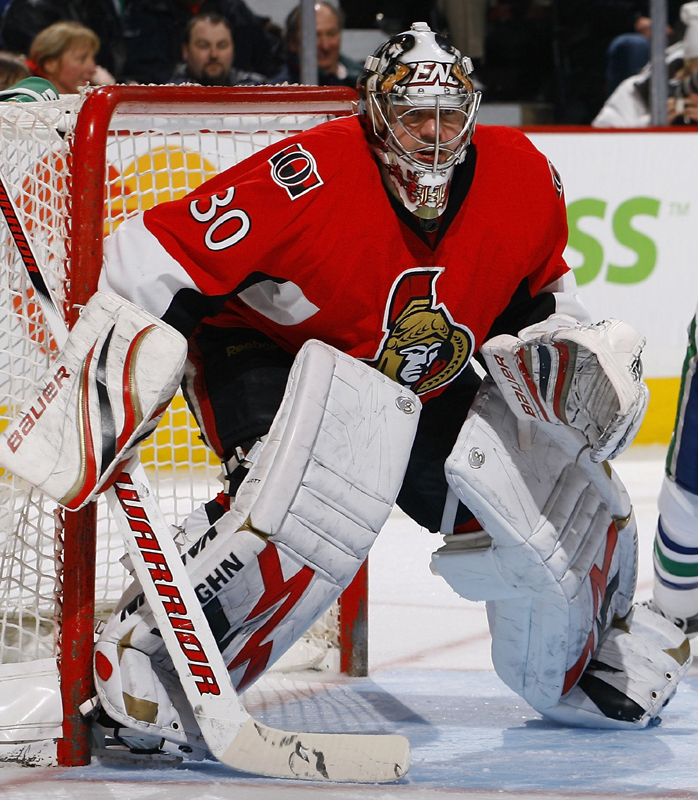 The next night, February 4, Elliott and the Senators set what is now the current Senators record for most games won in a row, 11, in a 3-1 victory over Vancouver. Elliott was named the first star of the game, allowing 1 goal on 30 shots.